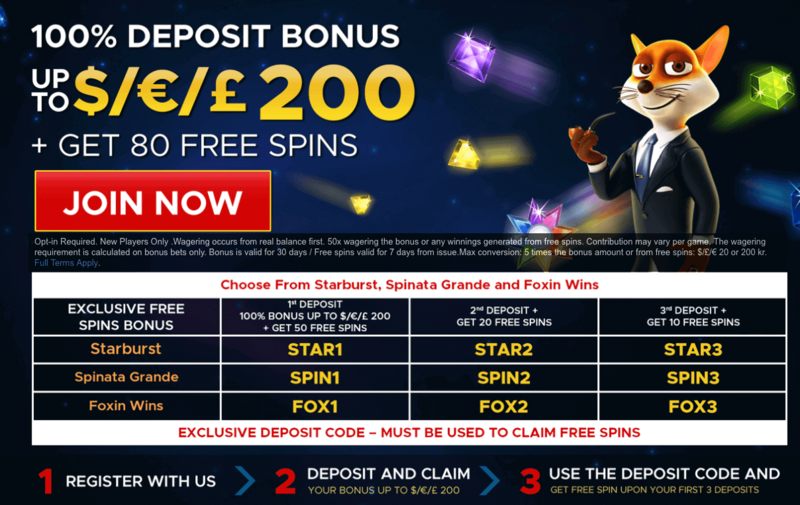 1st deposit: 100% bonus up to £200 + 50 Spins with the code STAR1 (Starburst)/ SPIN1 (Spinata Grande)/ FOX1 (Foxin Wins). 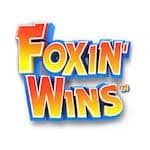 2nd deposit: 20 Bonus Spins with the code STAR2 (Starburst)/ SPIN2 (Spinata Grande)/ FOX2 (Foxin Wins). 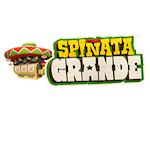 3rd deposit: 10 Bonus Spins with the code STAR3 (Starburst)/ SPIN3 (Spinata Grande)/ FOX3 (Foxin Wins). Wager the bonus amount 50 times before making any withdrawals. Take great advantage of this offer and have fun!